The newly sanctioned Level 1 referees participated in an on-island course hosted by the BRFU and led by Rugby America North’s World Rugby Educator, Scott Harland. In the weeks leading up to the course, each of the five candidates completed online modules and exams covering Introduction to Match Officiating, Rugby Ready and World Rugby Laws. The face-to-face side of the course involved 8 hours of practical instruction on how to referee rugby. Training modules included game management, positioning, proper use of the whistle and signals. Each of the five candidates obtained their Level 1 Match Certificate valid across the XV’s and 7s games formats. The new referees will continue gaining valuable experience by shadowing assistant referees along touchlines at domestic league games, refereeing Women’s Touch, Middle School Contact and Touch, Primary School Touch, Girls Development Squad games and the Summer Touch League. They will also join in refereeing the High School League as Assistant Referees as well as the Ariel Re 7s in March. 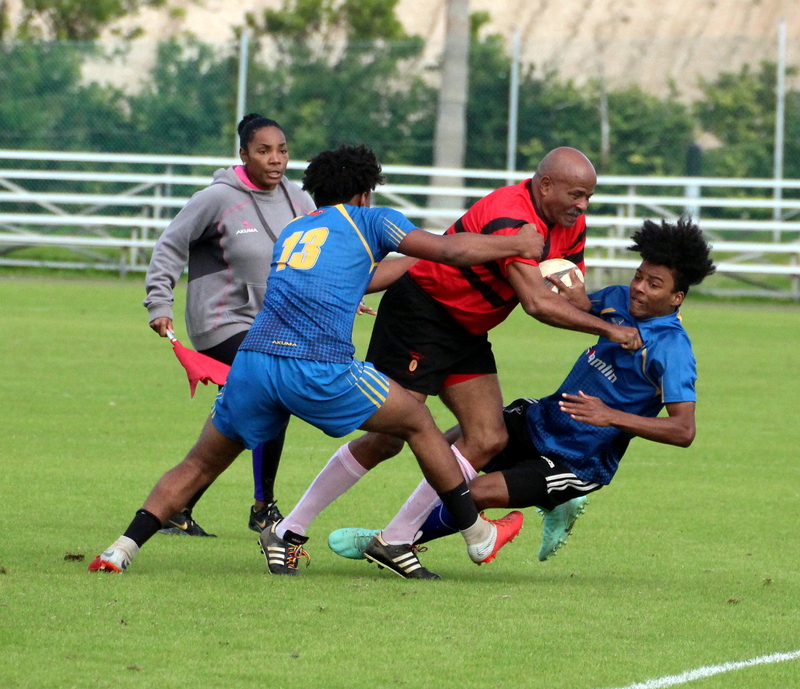 As they gain more experience, they will become eligible to Referee and Assistant Referee High School games, in addition to Men’s and Women’s 7s and XV’s games.